Soprano Elizabeth Dobbin was born in Sydney, Australia where her musical training began at an early age with piano and music theory lessons. After completing studies in music, arts and law, she moved to the Netherlands where she undertook masters in vocal studies at the Royal Conservatory in The Hague, specialising in baroque and early classical opera. Her teachers there were Rita Dams, Barbara Pearson, Diane Forlano, Jill Feldman, Michael Chance and Peter Kooij. Elizabeth works regularly as a soloist in oratorio, early opera and song recitals in Holland, Belgium, Austria, France, Germany, Scandinavia, Japan and the United States. With L’Arpeggiata she has performed as a soloist in early music festivals in France, Spain and Belgium. She works regularly with Dutch-based classical orchestra The New Dutch Academy, with whom she has produced radio broadcasts across Europe and for Dutch television. With ensemble Le Jardin Secret she won both the public and jury prize at the International Young Artists’ Competition in York, England in 2007 and performs regularly with them in major early music festivals in Belgium and Holland. Performances currently include a concert and broadcast for O.R.F. in the Resonanzen Festival, Vienna, concerts with ensemble Les Sentimens in concerts across Austria, a concert series in the Netwerk Oude Muziek, Holland with Le Jardin Secret, and appearances with the Netherlands Bach Ensemble in concerts throughout Holland. 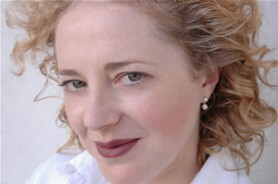 She has recorded on the Aliud label, for Pentatone Classics, Alpha, Coro and O.R.F.